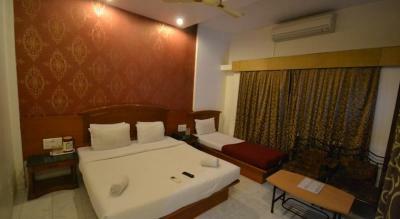 Located just 100 m from the holy shrine of Sai Baba, Hotel Saish Pvt. Ltd operates a 24-hour reception for the convenience of the guests. It offers special facilities for disabled guests. Free Wi-Fi is available in public areas. 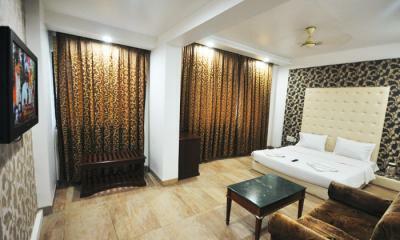 The rooms of Hotel Saish Pvt. Ltd are either cooled by fan or air-condition. All rooms come with a seating area and flat-screen cable TV. The private bathrooms include shower facilities. The closest transport facility near the property is the Local Bus Station that is 0.5 km away. The Shirdi Railway Station is 3 km away while the Pune Airport is 150 km. The property provides services like luggage storage, newspaper and car rental. There are shops in the hotel. Valet parking is available. A tour desk is available to make travel arrangements. The on-site restaurant, Bajaya Maa serves a variety of Indian cuisines. Room service is available. This is our guests' favorite part of Shirdi, according to independent reviews. We speak your language!